Did I say never in a million years? Yeah, right. A note to fearful pastors: Don't worry, trans people aren’t likely to break down the doors to your church any time soon. 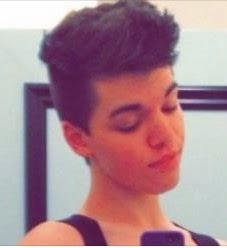 Some thoughts in the aftermath of a young trans girl’s tragic suicide on Dec. 28, 2014. Interestingly, one reality that is emerging in my research is that the church is not seen as a place of refuge by trans persons. As a matter of fact, most trans people would rather stay away—forever. Who walks bleeding into a lion’s den? Kids get it—why can’t adults?